A major transit company in the United States rebuilds electrical Traction Motors used to power passenger trains. Part of the process involves varnishing the motor components with an insulating material. 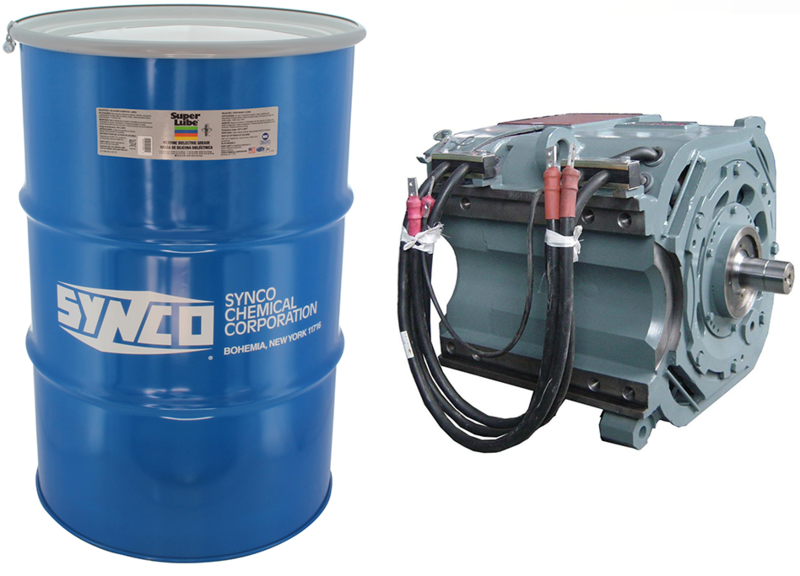 The varnish must be kept from coating the commutator, bolt holes, threaded fittings, bearing shafts and electrical connections. Super Lube® Silicone Dielectric Grease is applied to these components to act as a mask. The assembly is then dipped into the coating tank where vacuum and pressure (Vacuum Pressure Impregnation Process) is applied to ensure complete coverage to the motor electrical windings. The motor is removed from the tank and the silicone grease is wiped from the protected areas, removing the unwanted varnish with it. The result is a quick, inexpensive and effective means to mask the motor during rebuilding, that is easily removed and holds up to the harsh, high temperature process environment. Preventative maintenance is essential to ensure maximum fleet efficiency. Get Super Lube® Silicone Dielectric Grease now!